Knee injuries can restrict your movement and affect your overall muscle control. Further, hurting your knee or as it recovers from surgery could cause its strength to reduce and have your overall endurance change drastically. An extensive knee injury can be caused by direct impact on the knee as a result of falling on rocky ground. Such a sudden blow could affect injure the muscles around your knee cap or cause you to incur a soft tissue injury in the area surrounding your knee, thereby limiting its motion. Other direct impact causes of knee injury could include motor vehicle accidents. Additionally, the damage could be caused by a sudden movement which leads to the knee straining beyond its usual range of motion. This could be the case during sporting activities such as soccer when an individual overstretches their leg while making a tackle or shooting the ball. Sometimes, injuries on the knee are incurred over time rather than in an instant. In such occurrences, the knee joint is usually overused leading to tearing of the cartilage or ligaments. This consequently leads to pain, thereby limiting your overall range of motion. Also, a knee injury could occur as a result of medical conditions such as osteoarthritis. 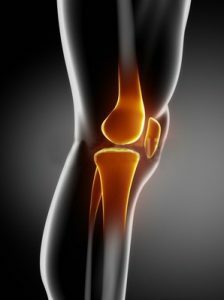 In this disease, the knee’s cartilage diminishes with time, leading to pain and swelling. How Do I know if I have knee injury? To learn the exact nature of your knee injury, it is advised you book an appointment with a physical therapist in Palm Beach Desert, CA. The practitioner will then be able to find out what kind of injury you have and inform you of viable treatment options. What does Rehabilitation for Knee Injury at New Beginning Physical Therapy in Palm Beach Desert, CA involve? Our highly-qualified team of practitioners ensures you have a step by step program to ensure you achieve optimal treatment for your knee. In line with our mission, our physical therapists in Palm Beach Desert, CA will ensure you are free from pain or physical limitations as a result of your knee. First, physical therapy at New Beginning Physical Therapy in Palm Beach Desert, CA will involve collecting your medical history. This will enable the physical therapist in Palm Beach Desert, CA to efficiently determine a rehabilitation program suited towards your needs. To determine the nature and intensity of your injury, the physical therapists at New Beginning Physical Therapy in Palm Beach Desert, CA could conduct a single-limb hop test. This would involve you hopping on one leg so that the strength of each leg, as well as the degree of injury, can be determined. Alternatively, the therapist could have you walk for six minutes then judge the condition of both your knees afterward. Once the practitioner has determined the state of your limbs, he or she can then draft a customizable program for you. Overall, Rehabilitation for Knee Injury at New Beginning Physical Therapy in Palm Beach Desert, CA focuses on healing the joint on different fronts. These include the knee’s strength, flexibility, and endurance. Throughout the program, you will undergo various stretching routines and alternative forms of treatment such as massages to ensure the knee’s tissues are not only repaired but also grow back stronger than before. Exercises are progressive, ensuring your joints are not overwhelmed by the sudden workload. They also positively reinforce healing throughout the limb. At New Beginning Physical Therapy, we help you progress. Our therapists are with you every step of the way.